The multi-million dollar project will be completed in three phases over the next three to four years. Santa Barbara’s downtown State Street seamlessly blends the city’s past — ever present in its Spanish colonial architecture — with the modern amenities and attractions that make this central coast town a destination for hundreds of thousands of visitors every year. 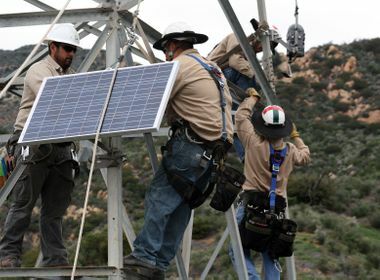 When it comes to electrical service for Santa Barbara, however, there is no looking back as Southern California Edison plans for the future energy needs of residents and visitors. It will take an overhaul of the local grid and technology upgrades to facilitate more renewable energy in the coming decades. SCE recently held an open house in downtown Santa Barbara at the Carrillo Recreation Center to inform local residents and business leaders about the upcoming project and what they should expect. The multi-million dollar reliability improvement effort will take three to four years to complete and the scope of the project is expansive. It will include, among other things, installing new underground vault structures, upgrading transformers, switches and cable, and installing additional technology to automate the grid. “We have done a lot of work in recent years to improve reliability,” said Alicia Pillado, the Santa Barbara District manager for SCE. “What we’re doing next is an unprecedented, wholesale effort to replace aging infrastructure with a modern system that is also forward looking. The project will be broken out into three phases with the first phase starting in March. Phase 1 of the project will take place along Chapala Street and its cross streets between Anapamu Street in the northwest and West Ortega Street in the Southwest. Due to the extent of the underground work, there will be periodic road and lane closures in addition to planned maintenance outages, so crews can work safely. 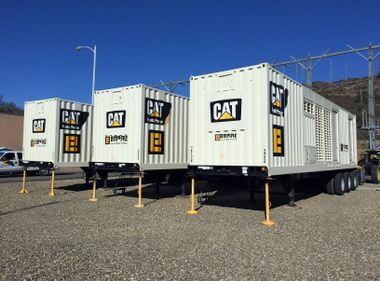 The company will share weekly updates through various sources, including a dedicated project website on SCE.com and the city’s public works website. Impacted customers and residents can also call 1-800-569-3525 or email dtsb@sce.com with questions or more information. 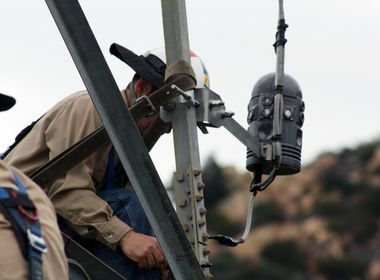 "The city is pleased to be working with Southern California Edison on improving electric reliability in downtown Santa Barbara,” said Santa Barbara Mayor Helene Schneider. “Our businesses, residents and city leaders have been asking for improved reliability and SCE has responded. “While there will be traffic and outage impacts to endure over the next few years, it will be worth it in the long run to have a more reliable and modernized power system," she said.